why os zero ordering 2 drinkes? No idea, but this is a cool pic! ^^ FROM 2002?! Yeah, I remember this one too. What a party! 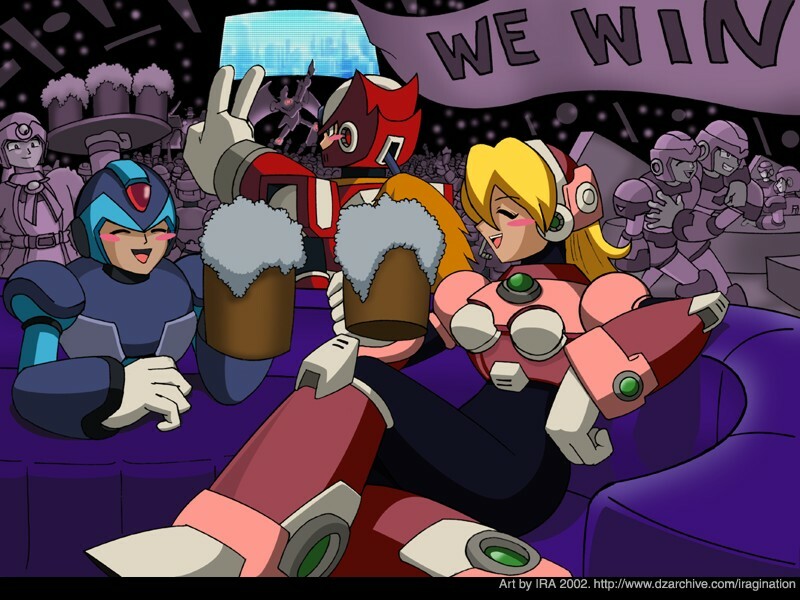 Zero's ordering two because he's thirsty from battle! Is Flame Falcon on guitar? !